Check out this Candy Corn Fruit Cups Recipe! If you are looking for a healthy alternative for a Halloween treat or snack idea for kids, this Candy Corn Fruit Cups Recipe is perfect for Fall parties, Thanksgiving, or Halloween! This Healthy Halloween Treat will be a favorite in your house and your kids will love to help you put it together! You could serve this for multiple parties and occasions or take them to your child’s fall party or halloween party at school. If you are having a fall party, this is a great recipe to add to the mix. I love fun, and easy holiday themed recipes to share with my guests. Here are even more Halloween Recipes and Desserts! Using Clear Cups Layer in the Pineapple, Oranges and then Top with Whipped Cream and a Candy Corn. My Kids each ate 2 of these and I love that it’s a Healthy Treat Alternative. I used canned fruit because it was easiest, you could easily use Fresh Fruit on this recipe with the same results. Here is another Candy Corn Recipe to enjoy with Candy Corn Punch! 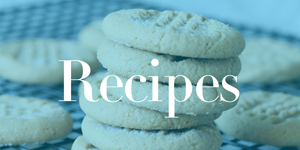 Holiday Food and Recipes can be such a treat for your kids and your guests! Throw a fun Fall parties with all of these Holiday Themed food options! It’s always so much fun to me to see the look on my kids’ faces when we have something like these candy corn recipes. They get super excited and enjoy every bite.